Congratulations to the ULead alumni! 2016’s launch of EOD's new leadership development program, ULead, by two different cohorts couldn't have been more successful. 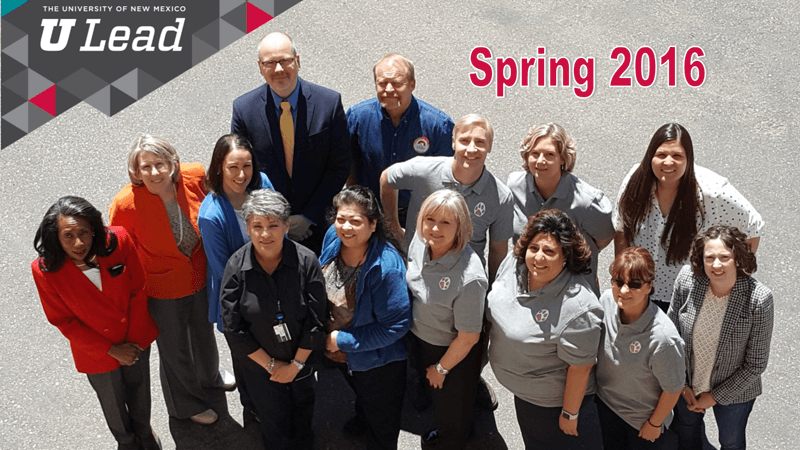 Twenty of UNM’s finest completed the Fall 2016 session on October 26, 2016, and fourteen completed the inaugural eight-week program on April 20, 2016. Each cohort shared several presentations focused on raising employee engagement to key stakeholders from North and Main Campus. Please join us in congratulating them on their accomplishment! Interested in signing up for ULead? Learn more on the ULead program page.